Swing characteristics when the shoulders turn on a more horizontal plane than the axis of the address position spine angle we call Flat Shoulder Plane. 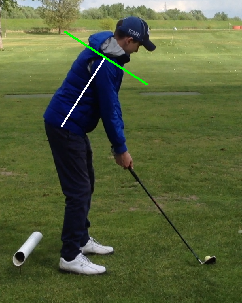 If we want the ideal swing we will try to turn shoulders perpendicual to the tilt of the spine on the backswing. Instead of that flat shoulder turn creates a shift in swing planes during backswing and a change in the original spine angles on the downswing. As a result the player will make compensations on the downswing with the body or hands to square the club face which will lead to loss of power and inconsistent ball striking. 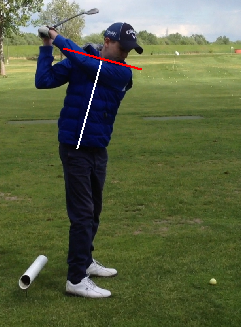 Flat Shoulder Plane can be caused by too long or too heavy clubs, or if you moving your arms too far away from your body during the backswing, or you can have too much arm rotation early during the backswing.